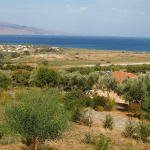 The village of Maleme lies just 16 km from the main town of Chania, and is easily accessible by car or bus. You can catch flights to Chania from most European and US destinations and more information on flights to Crete can be found on our dedicated flights to Crete page. 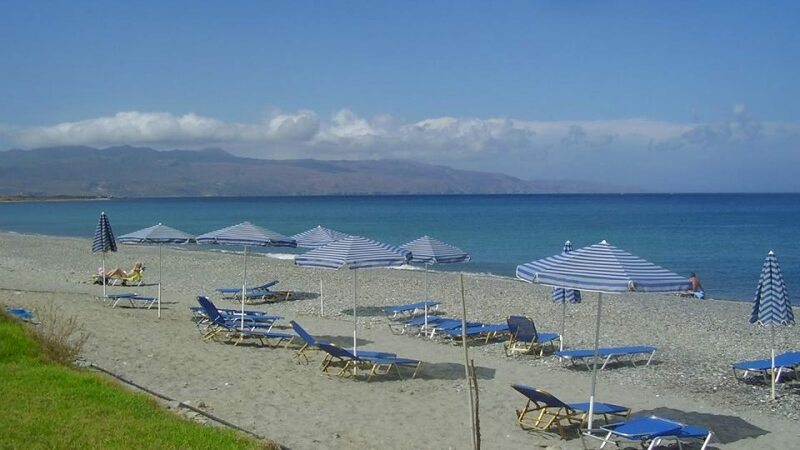 If your thinking of visiting the village of Maleme then your obviously looking for a holiday off the beaten track and away from the crowds that flock to the main towns and villages in Crete. 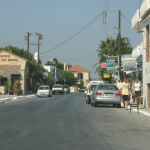 The village has a handful of shops and local Taverna’s for you to enjoy and the prices here are surprisingly low and not over inflated like the popular resorts. 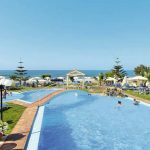 You will find a small selection of apartments and studios in Maleme and the owners here offer a friendly Cretan welcome and make you feel like part of the family for the duration of your stay and you will find yourself returning year after year. 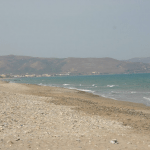 The beach of Maleme pretty much stretches all the way to Chania and is so quiet and relaxing. 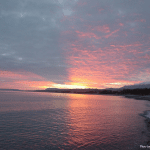 You can choose the shingle/pebble side for complete quietness and a handful of beachfront bars or the sandy side for a bit more of a lively feel (as lively as it gets in Maleme) with scuba diving and water sports. 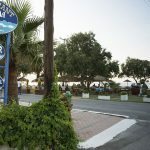 The nightlife in Maleme is just what you need on a relaxing Greek holiday and the bars here are open to the late evening and drinks are well priced. Many a night you will find yourself chatting to the barman and owners and enjoying freshly made cocktails and local beers. There is also a small disco on the western side of Maleme but it never really gets that busy but always nice if you fancy staying up a little later. If you do visit Maleme then make sure you pay a visit to the German cemetery where you will find the doomed paratroopers buried from the invasion of Crete in WWII. If you want to explore the local area then Samaria Gorge is only a day trip away and the stunning beaches of Balos and Gramavoussa peninsula isn’t far away. If you want to go shopping in Crete then your best bet is to grab the local bus or hire a car and visit the former capital city of Chania where you will find a wealth of designer shops and duty free outlets as well as more traditional Greek stores and the famous Agora cross shaped market.